Subscribe to get deals from hundreds of merchants including the best of The Square, Furama Riverfront Singapore! Valid till 30 September 2019, for dine-in only. Present your NRIC on your birthday month to enjoy complimentary cake (500g). Limited to one redemption only. Please call 6739 6468 to make a reservation and to inform hotel for the complimentary cake with a minimum of 3 working days’ notice.. Maybank TREATS General Terms and Conditions apply (PDF). Please always check with the merchant on the validity of the promotion before purchase. Please call 6739 6468 to make a reservation and to inform hotel for the complimentary cake with a minimum of 3 working days’ notice. Valid from 30 Jan - 3 Feb 2017. All offers at The Square @ Furama are entitled to an additional 10% off final bill for the first 100 Cardmembers with confirmed payment and reservation.. Please always check with the merchant on the validity of the promotion before purchase. 1 dines free with every 3 paying adults for buffet lunch and dinner. Valid on CNY Eve, 1st & 2nd day of CNY, 27 (Dinner), 28 and 29 Jan 2017. Headed by Executive Chef William Lum, a multi-faceted versatile chef with over 30 years of global culinary experience, The Square serves an exquisite and innovative spread of epicurean dishes worthy of a five-star dining experience. In a sensuous clash of flavors from the East and the West, diners are certain to satiate their appetites with the restaurants buffet and ala carte spread. Situated on Furama Riverfront, this large and elegant restaurant provides a cozy and warm atmosphere for diners looking for superb food in a comfortable atmosphere and a first-class customer service. The Square is also a four-time recipient of Singapore's Top Restaurants by Wine & Dine Top Restaurant Guide (2004, 2005, 2007, 2008) and Voted Gold of Top Restaurants in Singapore by Simply Dining Guide, 1st Edition in 2008. The Square offers a unique dining experience where cuisines from the East and West collide in a hotpot of flavours in muted elegance. Singaporean diners are spoiled with exotic dishes rarely seen in other buffet spread with the restaurant’s unique variety of dishes featuring Salmon Fish Head with Spicy Bean Sauce, Frog legs in Cream Sauce, Cajun Rib-eye Steak, Apricot Mascarpone Salmon and so much more. Of course, there’s also the ever-popular Singaporean Chilli Crab and Singapore’s Laksa. Coffee and tea lovers can also indulge with The Square’s coffee and tea station complete with a guide to making local Singaporean coffee. If you’re not much of a buffet fan on the other hand, The Square’s ala carte menu will surely not disappoint. Guests can order the restaurant’s new dishes carefully crafted by the Executive Chef himself. These gourmet dishes include Braised Lamb Shank, an Australian lamb front leg braised with wine and served with mashed spud and vegetables, Homemade Ngo Hiang, a mixture of prawns, water chestnut and pork accompanied with Thai chilli jam and the House Salad. It’s an assortment of handpicked Mesculun, sun-dried cranberries, orange segment, mango and sunflower seed tossed with the restaurant’s signature honey and lime dressing is also available. Beloved guests and diners are also treated with various promos and deals for varying occasions such as the Mother’s day special where all moms dine for free with every two paying adults. Another one of the amazing deals that The Square offers is the French Cuisine dining promotion that serves allows diners to indulge in exquisite French cuisines with a touch of local flare. This promo include a free-flow of sparking Juice and a complimentary car park for each table. In-house guests are also treated with a 50% discount for this promo. 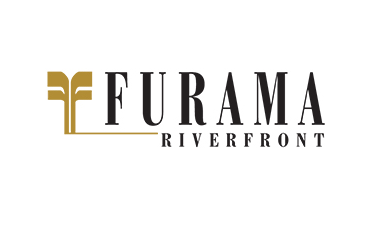 Be up to date with The Square’s various promos and deals by accessing http://furama.com/riverfront/Dining/Dining-Promotions. The Square is located at 405 Havelock Road, Furama RiverFront Hotel, Singapore 169633 and is open from Monday to Sunday. Breakfast is served at 6:00 am to 10:30 am everyday followed by lunch from 12:00 pm to 2:30 pm during weekdays and 12:00 pm to 3:00 pm during weekends and public holidays. Dinner buffet spread on the other hand starts from 6:00 in the afternoon and ends at 3:00 in the morning. For reservations, contact +65 6739 6468 or access the following site to book online.